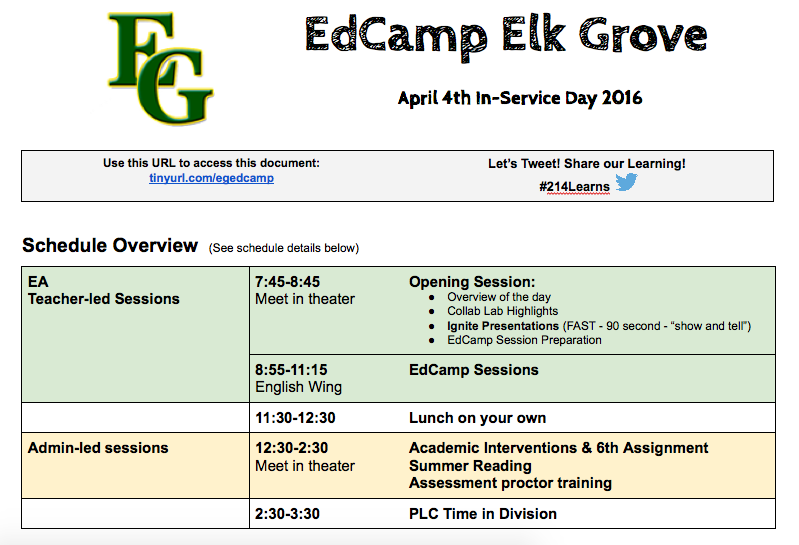 Check out the Professional Learning Day we enjoyed at Elk Grove High School and Across District 214! What: Teacher-led Professional Learning. Professional Learning that responds to staff needs. Why: Build our professional learning networks within and across departments and the District. Take next steps in our own learning to impact student learning. Our EG EdCamp, planned by our Collab Lab team in collaboration with our colleagues, was a kind of a hybrid of the traditional EdCamp format. 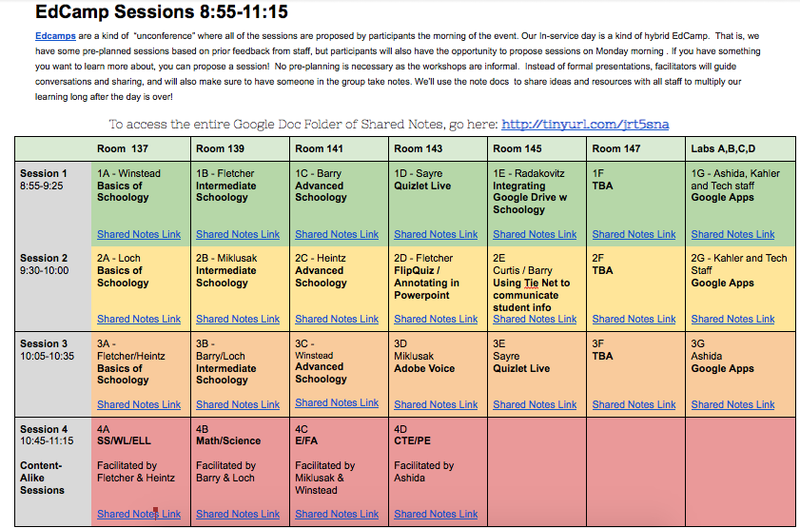 Like EdCamps, staff had the opportunity to propose sessions the same morning of the In-Service day, but we also pre-planned some workshops based on prior feedback from staff about their needs and interests. Feedback from staff was positive. The ignite presentations were quick, just 90 seconds, sharing a variety of strategies that staff could learn more about in the EdCamp sessions that followed. 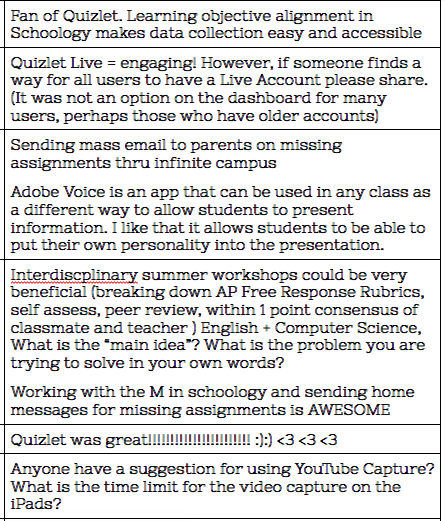 We also followed the EdCamp format of using Google Docs for shared notes. 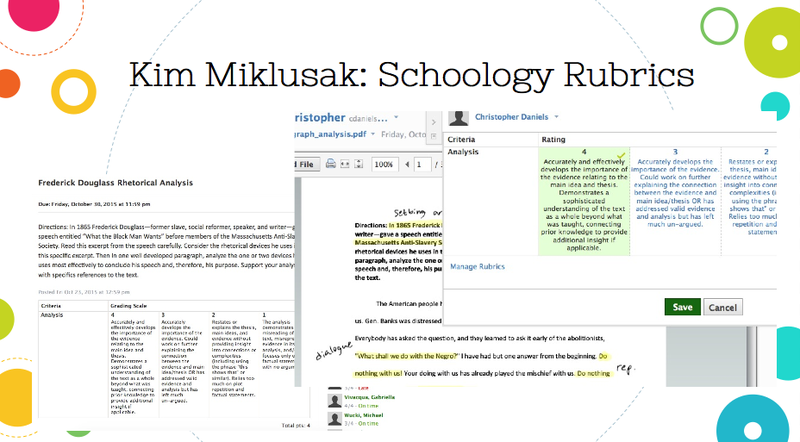 Check out this link to the resources shown above. All of the District 214 School ITF teams planned similar teacher-led professional learning experiences, in collaboration with their colleagues, for the April 4th In-Service Day. 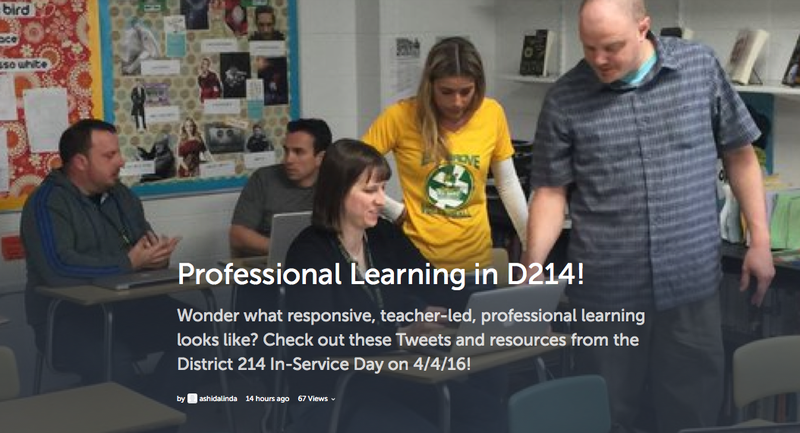 Check out this Storify to learn more about what those professional learning experiences looked like!